We look forward to growth in our headphone range: The Chord Mojo is now available with us and may naturally like to be tested in our headphone Studio paces. A brief introduction to the small high-end headphone amplifier / DAC and some optical impressions’s after the jump. 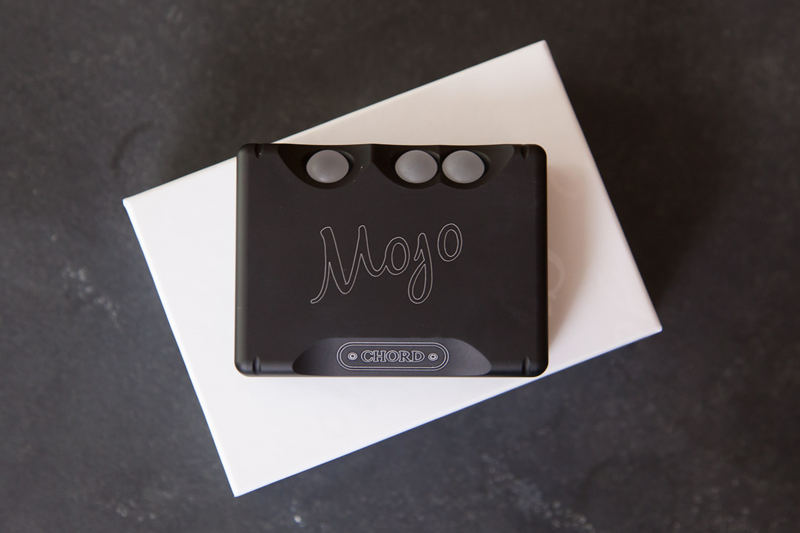 The Mojo is the latest development of the British manufacturer Chord Electronics which has been enriching the audio industry since 1989 and previously attracted attention by sonically compelling and visually fancy electronics. In particular, of course, the larger and older brother of Mojo – the Chord Hugo – needs to get a mention with its tonal qualities which were taken in the hi-fi world with extraordinary benevolence note, however, of a sense somewhere in the middle between stationary and mobile use and before especially for the latter actually a number had been too large and complex. Just up approach to the compact Mojo and positions itself completely unambiguous as high-end solution for mobile use. 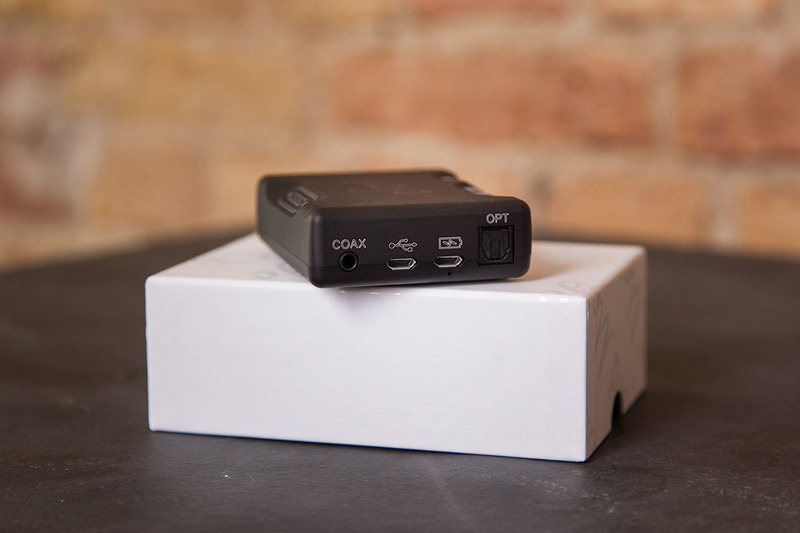 On the input side has the Mojo three digital interfaces: USB, coax and TOSLINK. A second USB port is only used to recharge the battery, which then powers the Mojo up with up to to ten hours power. The charge cycle itself takes about four hours to complete, the Mojo can be used during the course further. 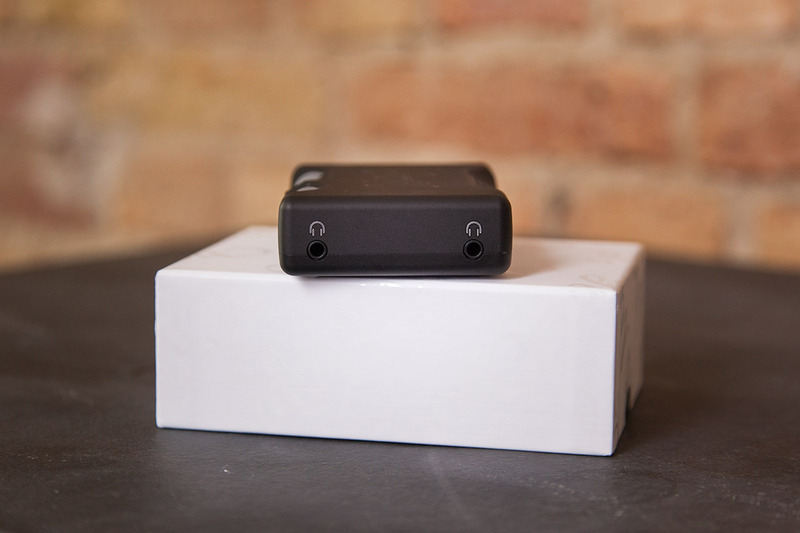 is also equipped with two headphone outputs in mini-jack format and three illuminated buttons for volume control and to activate and deactivate the device. Here the visual feedback of the buttons is more than just a gimmick: If you look at the relative importance has impressed, the colour coding of the on/off switch is at any time information on the current sampling rate, while according to the colour of the Volume button volume settings changed. 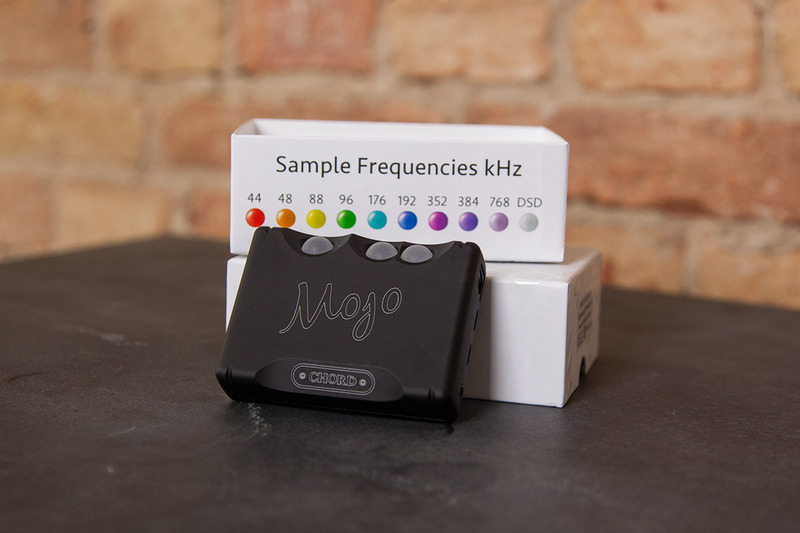 Mojo cord electronics have created an audiophile companion on the road to a very high level. All who are looking for such a device, we can place an extensive listening session with us only warmly recommend.